I’ve been tracking social time for a month-and-a-half, and I’ve been spending time with, on average, one friend per day. Tracking my social time has made me more aware of it, and led to me reaching out to people more, and to scheduling social time more. I’m noticing that I feel a lot happier, and also a lot more socially confident than I used to be. It feels like I’m fulfilling a major need, like eating or sleeping. I feel connected, supported, loved, and appreciated. I know that many people have my back, and that I am important to many people. I am part of a tribe. What is one step you can take right now to increase get your needs for socialization met? 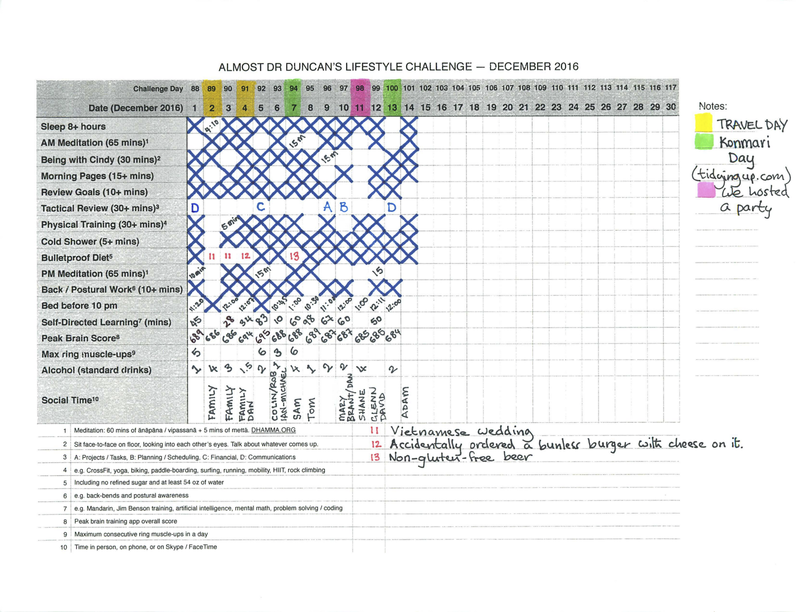 Join me on this lifestyle challenge: sign up for a free grid template and detailed instructions.